The Southwest Tech Foundation: Who we are. The Southwest Tech Foundation recognized three alumni as the 2018 Distinguished Alumni. The three alumni were Julia Nelson, Greg Biba and Konnie Sadler pictured here with Kim Schmelz, Director of External Relations and Alumni Development and Jason Wood, College President. 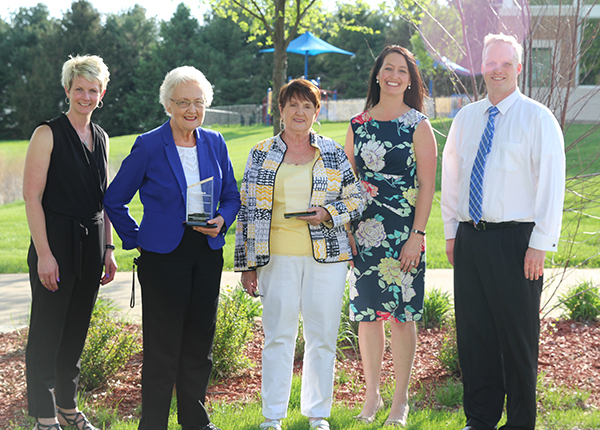 The Southwest Tech Foundation recognized​ two retirees as the 2018 Retiree Achievement award recipients. 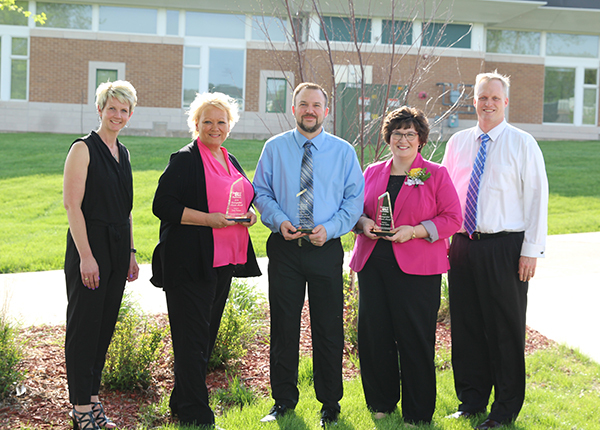 They are Sue Lewison and Linda Stephenson, pictured here with Kim Schmelz, Director of External Relations and Alumni Development, Holly Clendenen, Executive Director of the Foundation and Real Estate Foundation and Jason Wood, College President. 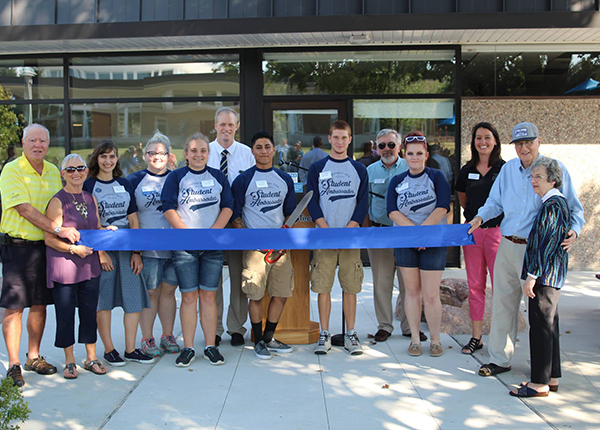 The 50th Anniversary Patio was dedicated on September 23, 2017 at our 50th Anniversary Homecoming event. 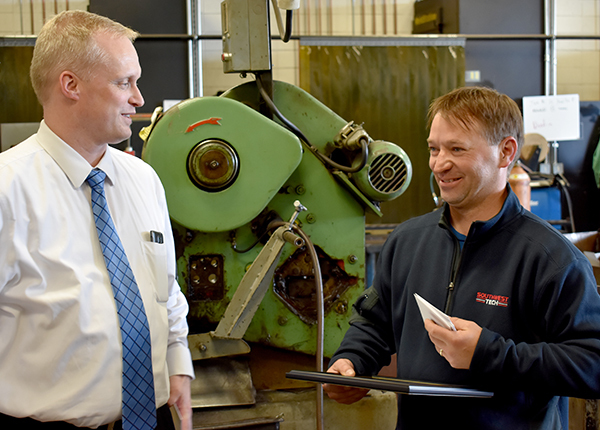 Southwest Tech Student Success Coach Matt Schneider was the recipient of the Janet Kohlenberg Memorial Professional Development Award for exemplary service to the college and demonstration of the college values of Partnerships and Learning. 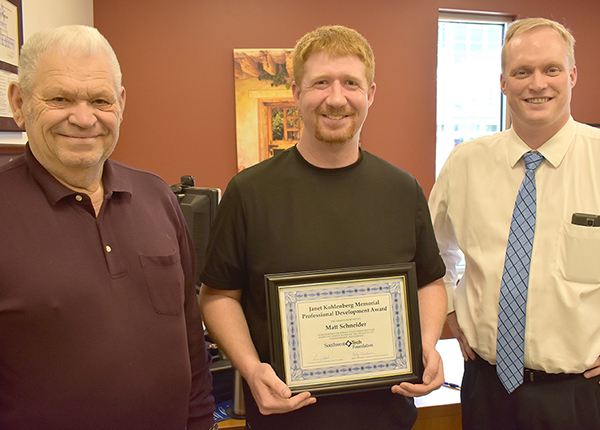 Southwest Tech Student Welding Instructor Ed Anderson was the recipient of the Janet Kohlenberg Memorial Professional Development Award for exemplary service to the college and demonstration of the college values of Partnerships and Learning​. 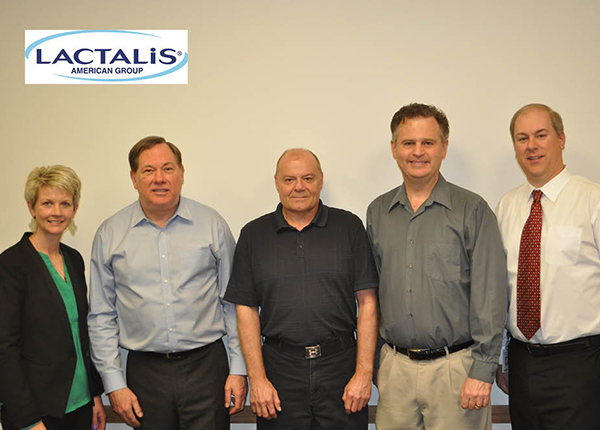 Lactalis recently signed an agreement with the Southwest Tech Foundation to participate in the Foundation’s Sponsor-A-Scholar Program. L to R: Kim Schmelz, David Wittkop, Plant Director, Paul Knepper, Maintenance Manager, Kendal Garrison, Human Resources Manager and Derek Dachelet, Executive Dean of Industry, Trades and Agriculture. 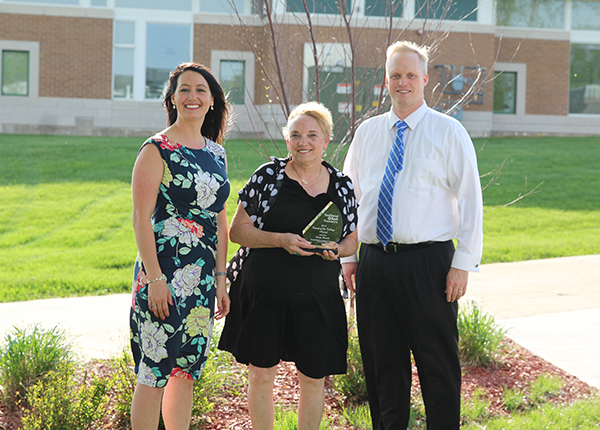 Linda Parrish was recognized as the 2018 Friend of the College at the Southwest Tech Foundation Donor Appreciation and Alumni and Retiree Awards program for all of her involvement and support of the 50th Anniversar Celebration of Southwest Tech. The Foundation's mission is to promote learning through funding and activities that enable Southwest Tech to provide opportunities for success. Donate... Every Dollar Makes a Difference! Workforce education means good-paying jobs, healthy families and a strong community. That's why the Southwest Tech Foundation knows that when it comes to scholarships, every dollar counts. For our students, your gift provides a critical financial lifeline. With broad support from friends and partners just like you, we are able to make great things come alive for our students, our community and our economy. Southwest Wisconsin Technical College Foundation is a 501(c)(3) non-profit corporation with Federal Tax ID #39-1828080.